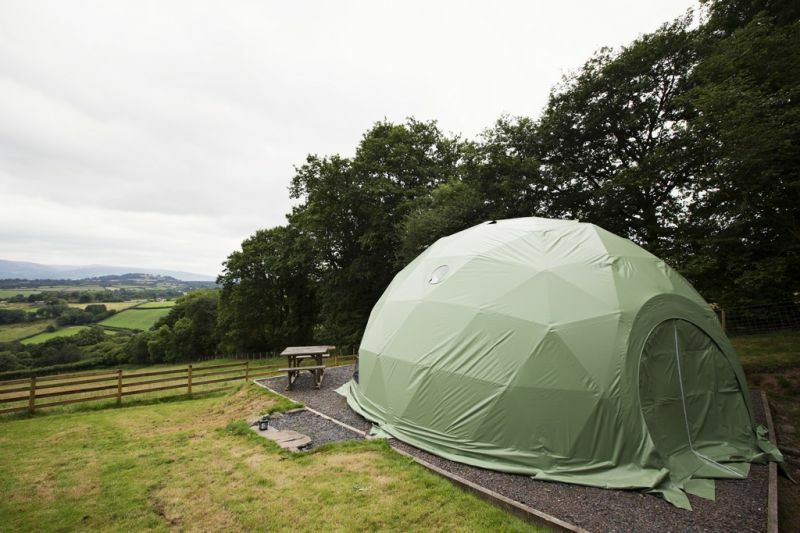 The Dome is set in splendid isolation at the top of a 4 ½ acre field with panoramic views of The Black Mountains and The Brecon Beacons. The dome is a majestic 8m diameter with oodles of space and natural light from the 5m wide window. 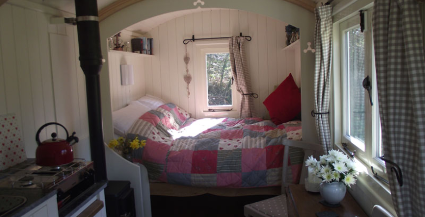 This is the epitome of glamping; comprising a comfy brass bed, sitting area (complete with wood burning stove and sofa to snuggle up on), dining area and a kitchen equipped with cooking utensils, crockery, cutlery and glassware. There is a gas powered shower, basin and loo situated just 5m away. Everything has been thought of to ensure your stay is a truly memorable experience. Towels and bedding are provided. The Dome is perfect for a couple and one well-behaved dog.